Opening hours: Most shops in Bremen are open Monday to Saturday from 9am to 7 / 8pm. Some shopping centers may be open on Sundays. 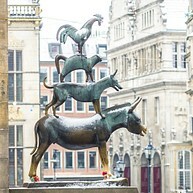 Tourist information: Visit our website www.bremen-tourism.de or just give us a call +49 421 30 800 10. 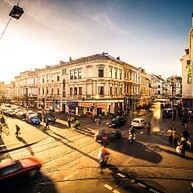 Whether walking, cycling or using public transport, getting around Bremen is easy. Bremen measures only 10 km by 2 km, and is filled with architectural gems.such as the Schnoor-Viertel complete with its' medieval buildings. 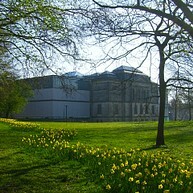 The Bremer Kunsthalle houses one of Germany's finest art collections. There are few public parks which have a vibrancy like Bürgerpark, located in the middle of the city. Stop to have a bite to eat at the cafe, play a round of miniature golf or bring a blanket and watch the world pass by. 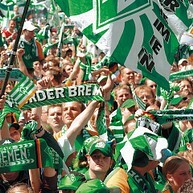 Sports fans will already be aware that Bremen is the home of Werder Bremen, a German premier league (Bundesliga) team. Stadium tours are offered for those who want to get up close and personal with the home of this famous team. 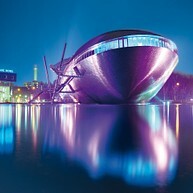 There are many museums and galleries dotted throughout the city, and a family friendly, interactive science center, Universum Bremen. There is always something exciting going on in Bremen, Since 1036 during the last two weeks of October, Bremen has hosted Freimarkt, one of the largest fairground festivals in Europe. 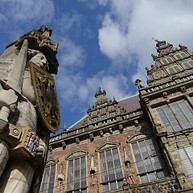 With so much to see, eat, do and experience - let Bremen lead you down its' cobbled streets to an adventure that awaits. The best-loved representation of the Town Musicians is the internationally acclaimed bronze sculpture by Gerhard Marcks dating from 1951. It stands on the western side of the town hall. Böttcherstraße was built in the 1920's, the 110 metre-long lane houses shops and restaurants, Bremen’s casino, museums, workshops and the carillon. St. Petri Dom is a gothic cathedral with over 1,200 years of staying power. World-famous organ and crypt. Soak in the maritime climate and longingly watch historic and modern ships float past as you relax in one of the countless beer gardens and restaurants. Pleasure cruises to many destinations depart daily. 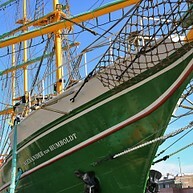 Green Sails and the magic of Joe Cockers „Sail away“ – that’s the story of the famous squarerigger „Alexander von Humboldt“. The hotel and restaurant service aboard offers you a unique maritime adventure in the heart of Bremen. 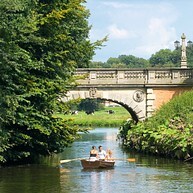 The Bürgerpark is one of Germany’s best-maintained country parks. 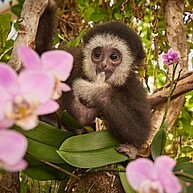 Together with the adjacent woodland, it covers an area of 202 hectares. With seating for more than 800 people, the classically elegant Theater am Goetheplatz is the largest venue of the Bremen Theatre ensemble. Its programme includes opera, operettas, plays and dance theatre. The playhouse also contains the Bremen theatre gallery which hosts temporary exhibitions. The Viertel (the quarter) is just a short walk from the city centre and is the most colourful and bohemian area of Bremen. 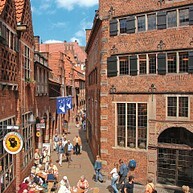 It is what locals call Bremen's Ostertor and Steintor districts. Just a few minutes' walk from the city centre, this is the most colourful and bohemian area of Bremen. Popular for kitsch entertainment and the arts, theatres and museums, it offers a cosmopolitan flair and diverse, offbeat nightlife. There are lots of bars, restaurants and pubs and no closing time, so you can easily party till dawn. Shopping in the Ostertor and Steintor districts Alternative shopping at its best: the Ostertor/Steintor quarter is known for its quirky shops, and for specialist outlets such as a spice shop and general store, run by the fourth generation of the same family and featuring art nouveau fixtures and fittings. Cultural mile The Viertel starts with the 'cultural mile' at Wallanlagen Park. This consists of the Kunsthalle art gallery, Gerhard Marcks House, Wilhelm Wagenfeld House and the Bremen Theatre, which stages both opera and plays – culture at its very best. The Theatro café and restaurant on Goetheplatz square is ideally situated for a break amidst all the culture. 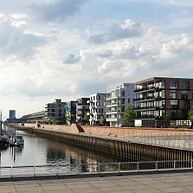 Bremen's former docklands are being transformed into a vibrant quarter for the 21st century, with a great selection of cafés, bars and restaurants. Lots to see and do, new events all the time, modern architecture and the charm of historical warehouse buildings: this port district in the midst of change combines its maritime past with a pioneering present. One of the most beautiful arenas in the German Bundesliga, between August and May the Weser Stadium provides the setting for gripping, exciting and attractive football matches played by Werder Bremen, the 2004 German Champions and German Football Association (DFB) cup winners. Hot tip: It's possible to explore the stadium as part of a guided tour. Another attraction is the Wuseum, the Werder Bremen museum.